This month my Cara Box partner was Ashely! The theme was "local"--send your friend a package detailing the state or city where you live. I mailed her a box of goodies that you can check out on her blog! Heather from My Little HEA was my other partner! 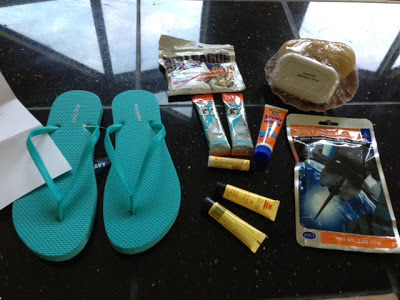 She lives in FL and sent me a wonderful box full of beach, sun, and fun! I love the flip flops. Every spring I buy a new pair of flip flops and wear them out. I have not purchased mine for this year yet--and I adore the teal color! They will go with everything! 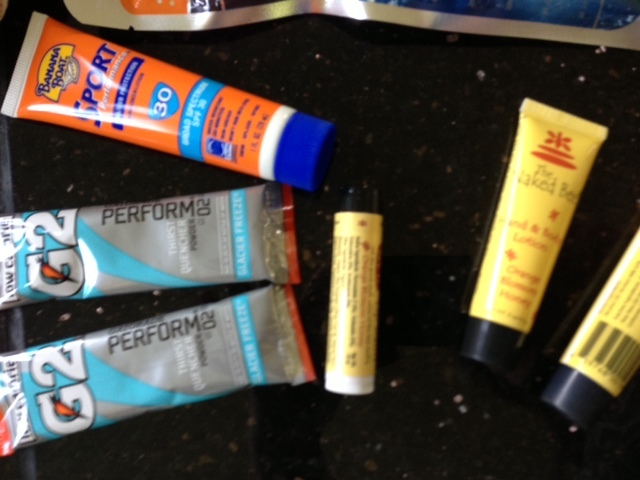 My next favorite thing was the vegan lip balm and the travel sized sun screen! I stuck both in my purse for when the moment calls!